The Chocolate Combo (as in that they both like chocolate, not that they are both made of chocolate, as Tomo accidentally introduce them) is back in the studio. Tomo gives us the opening phrase, as lately she has been asked a lot if she has lost weight. They recently performed at a girls-only event and it was brought up several times, and while she’s flattered, she hasn’t lost any weight at all. However, she is determined to get herself into shape and she is aiming for a better body than she currently has. Speaking of chocolate, Tomo reminds Uemu that in the last broadcast, Yuka and Karin laughed about actually being able to eat the chocolate name plate on her cake since Uemu wasn’t there. Uemu is highly offended, she does not eat the chocolate off of other people’s cakes… except for when she does, which involves Yuka most of the time. Tomo thinks that it’s fine if she takes it from Yuka because she’s the leader and she’s expected to put up with such behavior. Oh, right, happy birthday Karin. 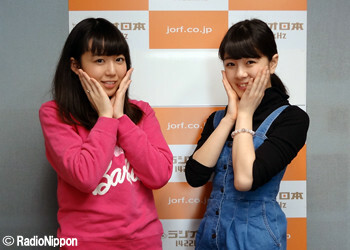 Uemu says that she and Karin had planned on exchanging birthday presents since their birthdays are not very far apart. 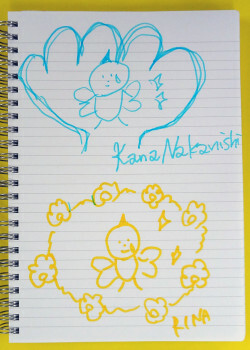 It was Uemu’s idea, and yet when the time came to exchange them, she had completely forgotten to get Karin a present. Maybe next year. Uemu does not care about your birthday, Karin. Get over it. Lots of letters have come in about the play, and the one they choose to read comes from Rosanko. 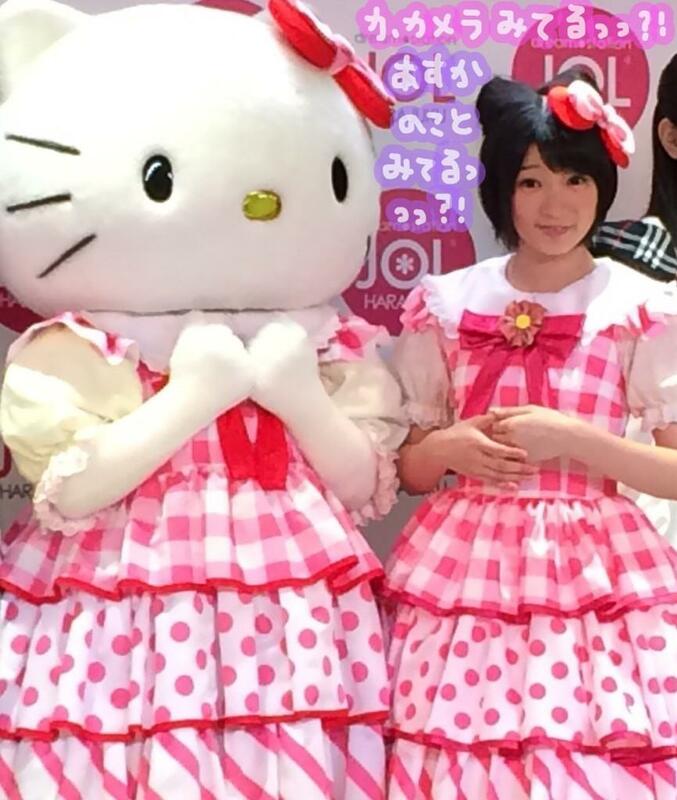 They went to see their play, Koi Suru Hello Kitty, and highly enjoyed it. They couldn’t believe that this was the first play for many of them and liked so many things that they can’t summarize their feelings on it. They did have one issue, however: they are now in love with Yuuya (Tomo’s male character). They hope that someday, at a handshake event, perhaps, Yuuya will reappear and they’ll be able to meet him. One can dream. To begin, Kanon expresses she couldn’t participate in the 2015 COUNTDOWN live. It couldn’t be helped however, due to her injury. 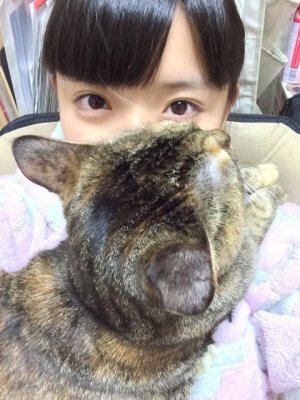 The comments on her blog have helped her during her recovery process, Kanon assures everyone. She is surprised but happy how many people have commented on her blog about how she should “recover quickly” and “we’re worried about you”. Kanon received about 1000 “get well” messages. 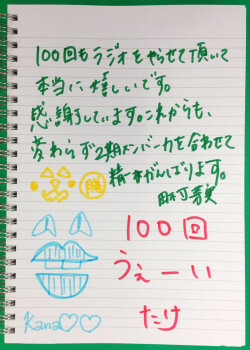 It was very kind of everyone to write them to her and wants to become better quickly for everyone, but for now Kanon asks everyone to wait a little while for her to recover. Message 1: Otsukanon Desu! Its nabe season, isn’t it? On a the Youngtown program you recently talked about nabe and you made it sounds very tasty. What were your impressions from being on the show? As a brief summary: She was very nervous about meeting one of the other people on the show and is sure she talked too quickly. She ended up saying things that were not idol-like; like talking about how she liked that broth in nabe. Overall, Kanon ended up saying kind of goofy things although idols are supposed to be a bit more of the straight man type. So from now on she’s going to be more careful about saying more idol-like things. Chii announces that we’re now entering December which means there’s only a month of 2014 left. She then spends a good thirty seconds praising herself for having been able to successfully read that aloud from her script. Old question #1: The first answer is to a question Chii asked last time on this corner. It was concerning her problems with blogging; fans complain if she doesn’t blog enough, but they also think something must be wrong with her if she blogs too much, so just how often should she then blog? Fan answer: The listener says that as a fan, the more often their favorite idols blog, the happier the fans are. The listener has also noticed how Kumai-san has become more active with her blog, and that her uninterrupted run of daily blog posts since the end of October has become a hot topic among fans. They look forward to continued frequent blog posts from the two. Chii: … What happened to you, Kumai-san?!? Kumai-san: I don’t know! I just feel like blogging more! Right now, Kumai-san has been blogging every single day for more than two weeks. Chii can’t seem to believe this, sounding just a tiny bit betrayed. Kumai-san explains that now that she’s been at it this long, she just doesn’t want to give in anymore — though she does say she’s going to need a break at some point. Chii recommends that Kumai-san follow up this sudden spike in activity by in turn taking a full month’s vacation away from blogging. Chii has found some joy in her blog as of late, too: rather than waiting for something significant in her life to blog about, she finds it easier to just post quick, Twitter-like updates, such as writing about what she just ate. Thus, Chii makes a grand declaration: she will begin blogging daily starting in 2015. We’re now three weeks into 2015, and so far Chii has miraculously been able to keep this promise: she’s blogged at least once every single day except for one small slip-up when she posted 30 minutes past midnight, and she apologized profusely, going to bed feeling angry at herself for that.